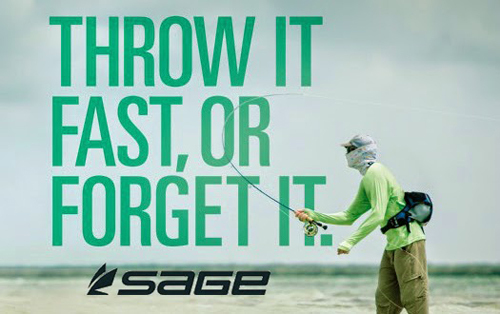 The Sage SALT is the rod that allowed me to get my hands on a Sage Xi3 12wt (discontinued) for a great price. I just didn’t know the SALT was the reason. Now I do. Thanks to an article in Midcurrent – IFTD Announces New Product Showcase Winners 2014, and a good review on the new SALT can be found through Zach Matthews at the Itinerant Angler. Zach is a straight shooter, and has a great perspective on articles like this one. Of course a review leads to curiosity, and curiosity kills this cat. 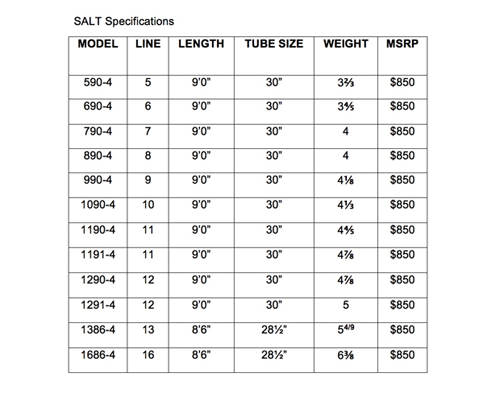 I am also seeing the 2015 SALT showing up in online fly shop sales as well. As far as “in hand?” – well not just yet. And only the mention of it on the Sage site is in their blog. I guess they want it in all the stores before they blast it on their website. It’s hard not to think SALT when I am just eighty miles from it right now, and Sage certainly has a reputation that precedes it when it comes to heavy salt sticks, so as soon as I get one to do a real review, you’ll read / see all about it here. There are plenty of reviews of this rod showing up on the interweb, so best to dig in on google – you can hit my google search “search the web” box on the side of this site to do a google search if you want a shortcut.